Saudi Arabia, June 6, 2018: Canon Middle East (CME), a provider of imaging technologies and services, today announced that it is expanding its regional presence by establishing direct operations in the Kingdom of Saudi Arabia (KSA). 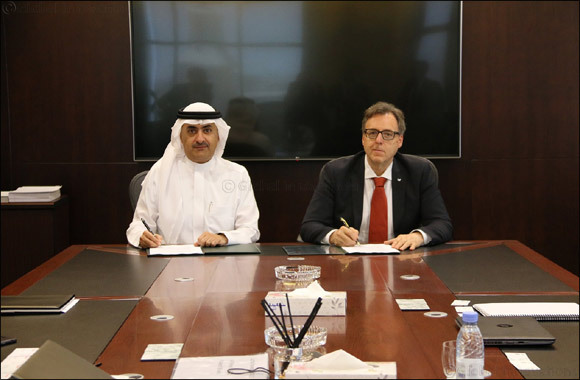 The announcement came during a signing ceremony between CME and Ali Zaid Al Quraishi & Brothers to formally establish Canon Saudi Arabia, which will become the largest regional direct presence for CME. Canon Saudi Arabia will operate from Riyadh, and with an additional two branches in Jeddah and Khobar, will be become the company’s largest entity in the region. With over 300 employees by 2020, Canon Saudi Arabia will directly contribute to the Kingdom’s economy and industry diversification strategy as outlined by Vision 2030. The new company in KSA will report into Canon Middle East, which will continue in its role as a Regional Sales Organisation for the Middle East region. Following the successful development of Canon Emirates, Canon Middle East’s direct operation in the UAE, this strategic step allows Canon to further expand its offerings across the Saudi market where there is a growing need for digital and other technology-based imaging services. As the government, and other large entities, seek to implement the latest digital business solutions to become more agile, competitive, efficient, reduce operational costs and to adapt to today’s changing business environment, Canon’s suite of products and services address challenges and allow for streamlining of processes to achieve growth through organisation-wide digital transformation. In addition to supporting business achieve their goals, Canon Saudi Arabia has the objective of investing in its employees by enhancing the skills and professionalism of Saudi nationals through extensive learning and development programmes, embracing and enhancing the talent of Saudi youth, and empowering women to further support the country’s Saudisation programme. Following Canon’s corporate philosophy of ‘Kyosei’ which means living and working together for the common good, Canon Saudi Arabia also aims to establish a strong relationship with the Saudi society through environment initiatives and community welfare programmes that give back and support various causes.